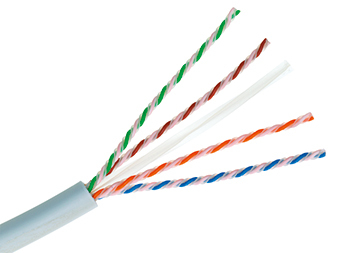 Low diameter solid wire installation cable U/UTP Cat.6A. 100 Ohm impedance. With non continous Alien X-Talk suppression tape (WARP, Wave Reduction Pattern) for a crosstalk protection between adjacent cables with a minimal space requirement. Data transmission frequencies of up to 650 MHz.